I love Thanksgiving! 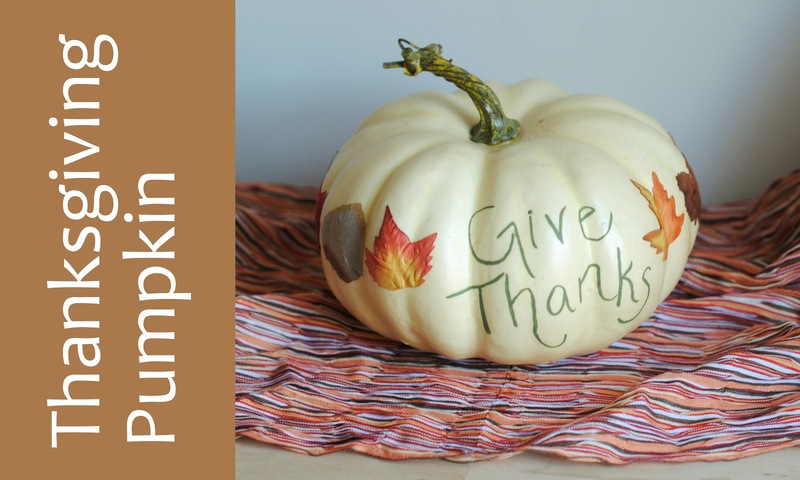 So even though Halloween is right around the corner, I've been a little preoccupied with making things for my favorite November holiday... case in point: this Thanksgiving Pumpkin. 1. When I was at Michael's recently, I snagged this tiny bag of paper leaves for $1.00 and picked up the cream-colored pumpkin for 50% off the original price. 2. 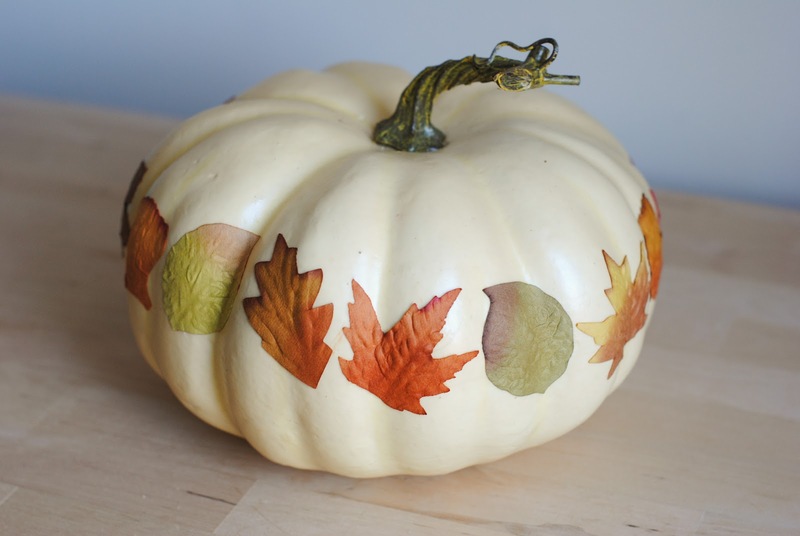 I wanted to adhere the leaves to the pumpkin, so I grabbed some adhesive and got to work (my go-to glue is Tacky Glue - it works on so many things!). 3. I painted a thin coat of glue on the back of the leaves using a foam brush. 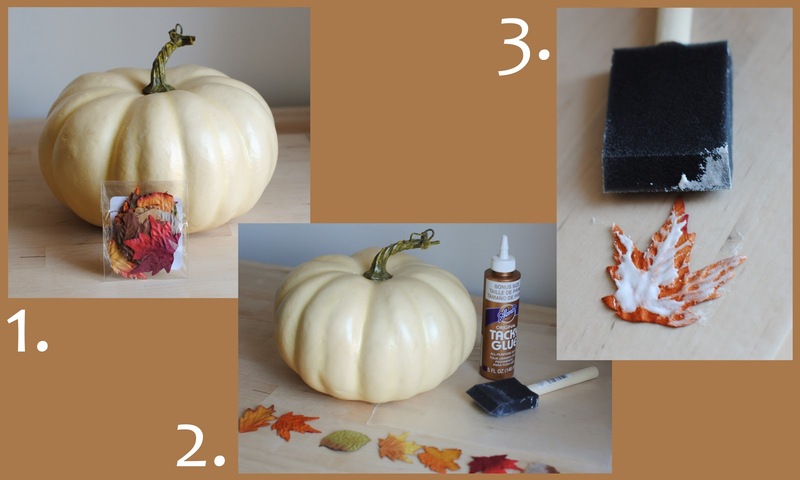 I was especially careful to get the glue along all the edges of the leaves as I wasn't planning to seal it, so the leaves had to be completely stuck to the pumpkin. 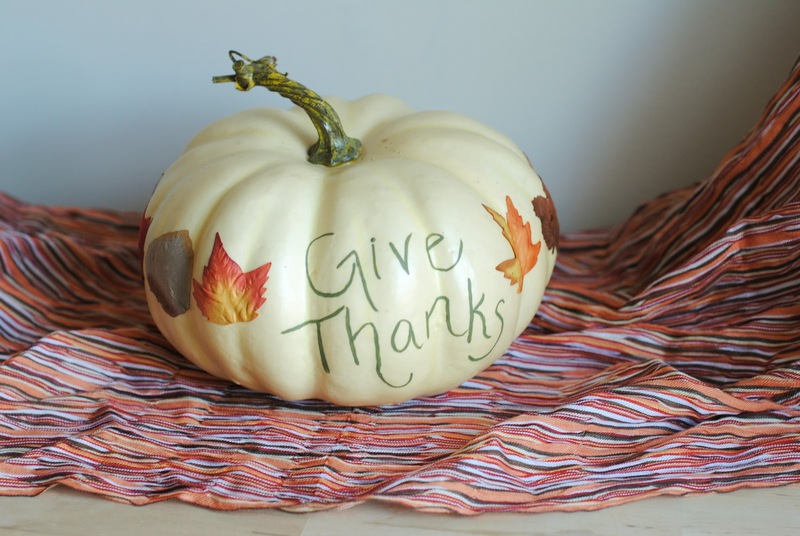 And after a few minutes of gluing, all of the leaves were on the pumpkin! But I wasn't done yet! I had saved a small space on the pumpkin for a holiday sentiment. 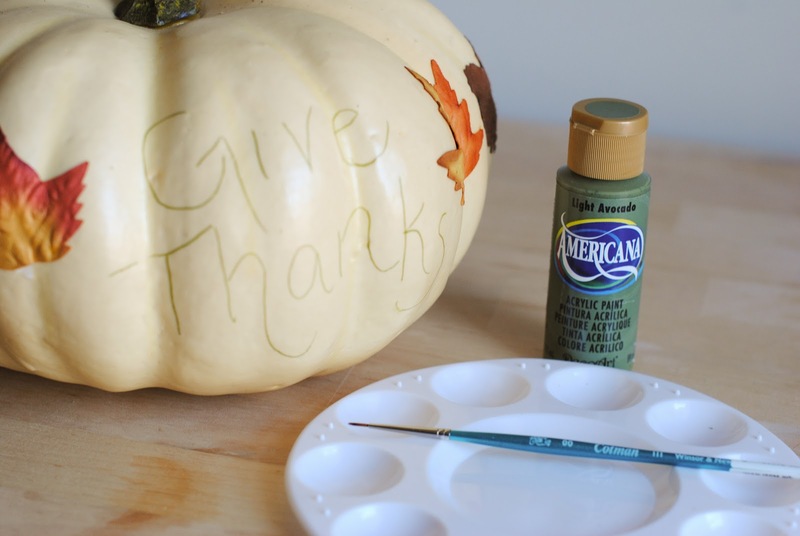 I traced out my favorite Thanksgiving phrase ("Give Thanks") and painted over it using basic craft paint (I use Americana). And that's all it took to complete my Thanksgiving Pumpkin.